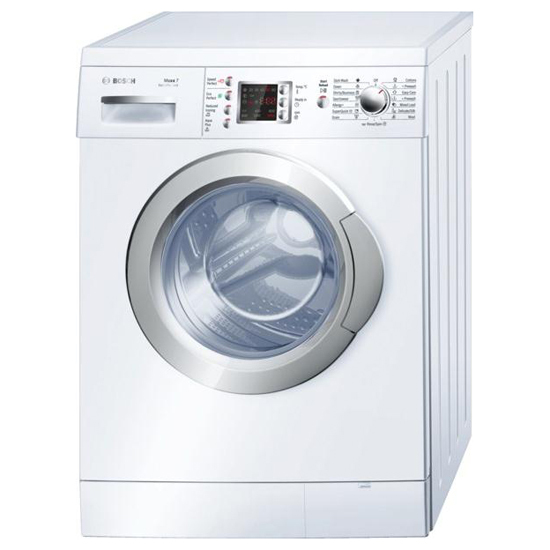 The WAE28490GB is very easy to use, so even people who don’t have much experience doing the laundry will have no problem operating it. 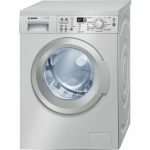 The machine comes loaded with fifteen different features, such as quick wash, timer delay as well as high water level options to protect those delicate materials. 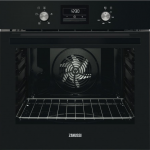 This model has a maximum capacity of 7.0 Kilograms, so it’s ideal for a variety of different loads, whether it’s just the two of you or you have a large family. It also features a sleek white design with a front digital display to make selecting programmes easier. The right of the washing machine contains a rotary dial with options clearly labelled. There is even an essential childproof lock on the door to prevent any accidents from little ones. For people who are more energy conscious, the WAE28490GB has an energy rating of A+++ so you can be sure your appliance will not consume too much electricity and is more efficient. 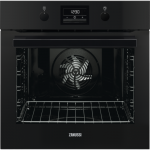 Other features include options to save energy and water consumption. Not only will reduce energy use, it will also save you money on your water bills. Like other Bosch products, this washing machine comes with a quiet motor to make sure your spin cycles are not too loud. 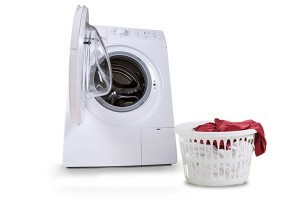 It also has a whisper quiet anti-vibration design, which reduces the noise made by your washing machine. 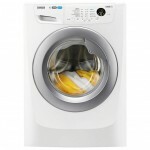 And speaking of spin cycles, this model has speeds of up to 1400rpm, so your clothes spin faster and more efficiently so they spend less time in the dryer. This washing machine really is the perfect addition to your home. Its many functions and programs make the WAE28490GB really versatile. 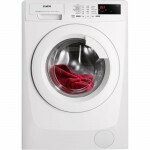 No matter what type of load or material you need to wash, the Bosch Maxx 7 will be a vital part of your household. This model’s medium sized 7kg drum gives you two fantastic benefits over smaller drums. The first benefit is that the extra capacity gives your clothes more room to move around in, so they’ll get a better clean. And the second is that you can wash more clothes in one go, helping you cut down on the amount of washes you do per week. 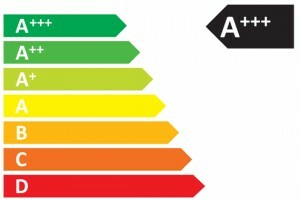 Energy ratings for washing machines range from A+++ to D. The higher the rating, the more efficient your appliance will be and the more money you’ll save. This model has a great rating as it’s been given an A+++ for its energy usage, which means on average it will cost you about £32 to run per year. So as well as helping you do your bit for the environment, this washer dryer will also help you to lower your electricity bills. The VarioPerfect option gives you ultimate control over the time and energy used to clean your clothes without compromising on quality. 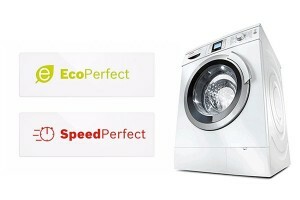 If you’re in a hurry, you can select its SpeedPerfect setting to shorten your wash by up to an hour and get your clothes clean quicker. If time’s not an issue, then opt for EcoPerfect. It’ll take a bit longer but will use less energy, saving you money on your electricity bills.